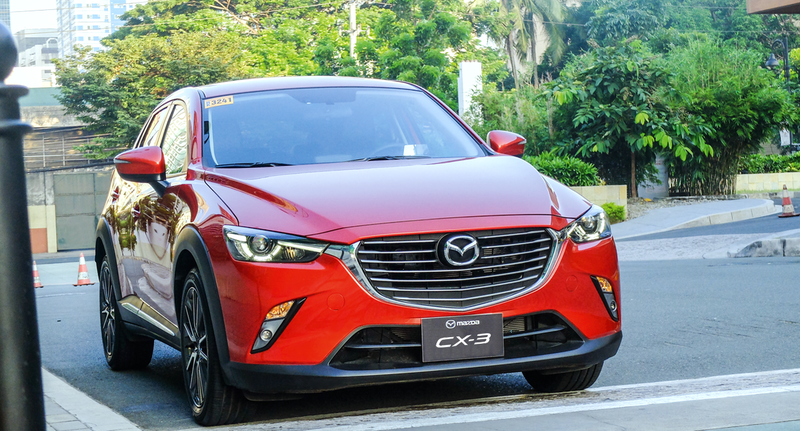 When it debuted at the 2016 Philippine International Motor Show last September, the Mazda CX-3 was introduced as a freestyle crossover vehicle targeted at young, forward-thinking individuals and families, a consumer segment characterized by Gadgets readers. We recently got to test the premium AWD variant. In particular, I liked the black body side cladding and wheel well trim, making the CX-3 seem bigger and bolder than other small SUVs. 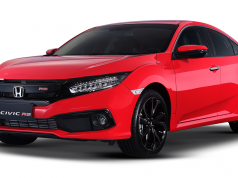 Of course, the 18-inch gun-metallic, machine-finished alloy wheels further emphasized its sporty character, as did the large black grille with chrome accents, and the LED headlamps with daytime running lights. Inside, the overall impression is one of sophisticated luxury, with black leather and suede upholstery trimmed with red accent stitching. 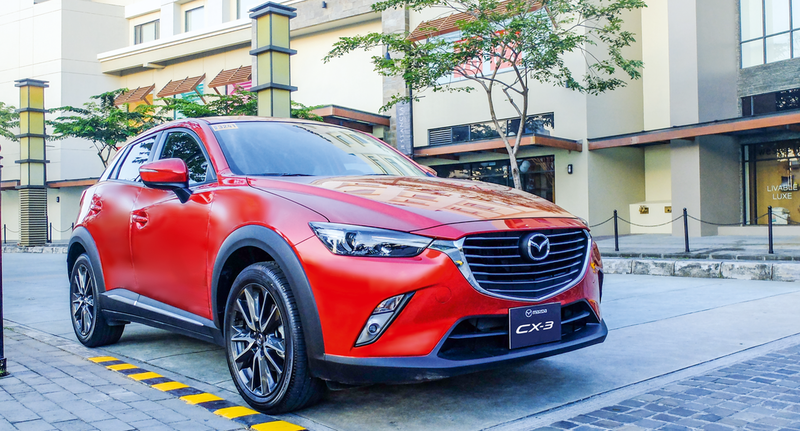 The Mazda CX-3’s 1,998-cc 16-valve DOHC engine delivers maximum power of 148 ps @ 6,000 rpm, and maximum torque of 192 Nm @ 2,800 rpm. This is mated to a 6-speed automatic transmission with sport mode, and an all-wheel drive train for the variant we tested. 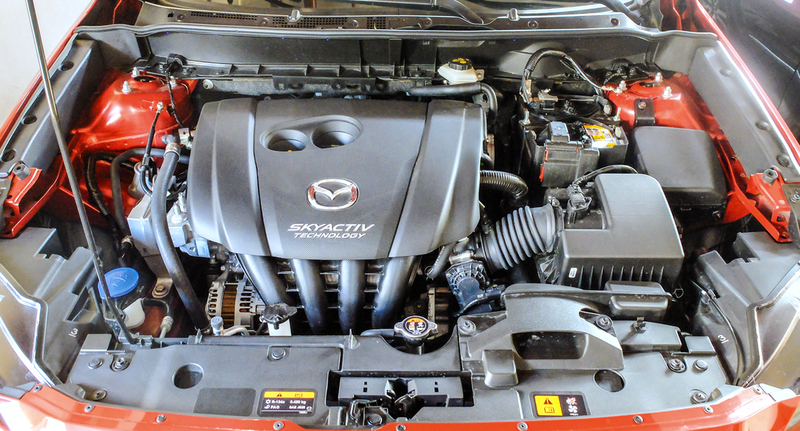 First, with its Skyactiv technology, Mazda reinvented its engines, transmissions, body structure, and chassis design, creating the foundation for a new range of vehicles that deliver optimal fuel efficiency and driving pleasure. Second, the i-Activ all-wheel drive (AWD) system is truly a marvel of computing, monitoring 27 sensors 200 times per second, and proactively adjusting to road and driving conditions, for utmost safety, comfort, and fuel economy. 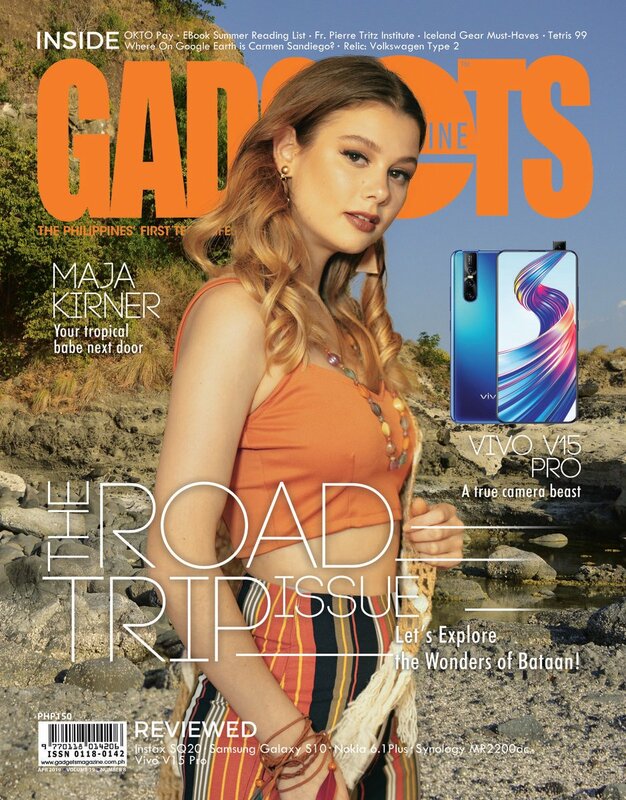 The audio system also earns a “Wow!” particularly the Bose six-speakers with sub-woofer and amplifier matched to a 7-inch touch screen display, DVD player, two USB ports, aux-in, Bluetooth connectivity, navigation, and reverse view camera. Driving the CX-3 is a zoom-zoom experience, with smooth, linear acceleration generated by the powerful direct injection engine. 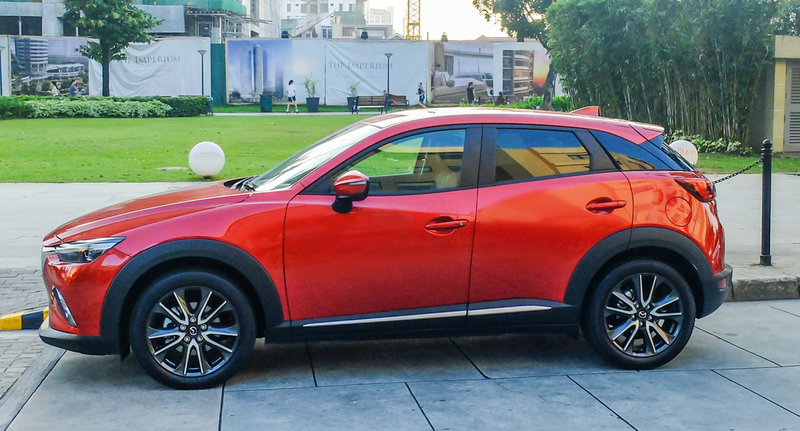 A lead foot isn’t needed on the accelerator, as you can feel the CX-3 just raring to run. 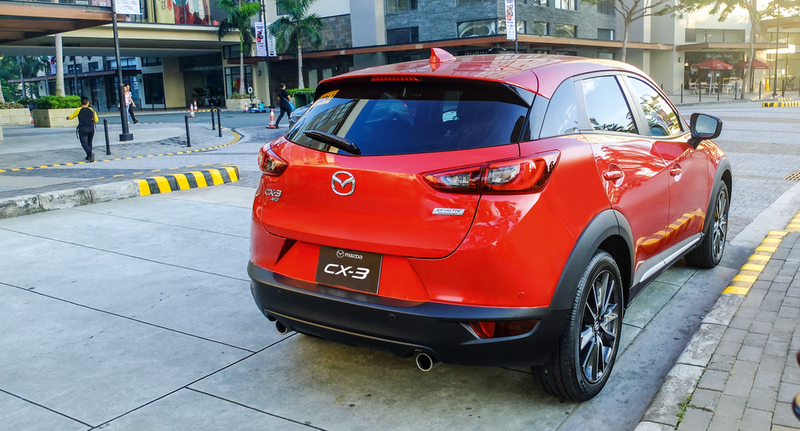 When you need it, the pulling power is readily available, and the CX-3 can certainly zoom. Fun to drive? Definitely! 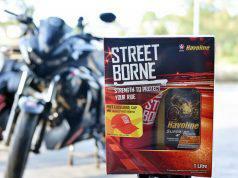 Steering is light and responsive, with sufficient road feel so you can confidently attack curves and turns. With i-Activ AWD, you know that the CX-3 can capably handle most road conditions, so you won’t mind hitting a few rough patches or getting caught in a thunderstorm. The CX-3 is not just fun to drive. It is also packed with thoughtful amenities that enhance the overall ride experience, so commuting in traffic is more bearable. The cabin is well insulated against NVH (noise, vibration, harshness), living up to the luxe ambience of the interior, and guaranteeing riding comfort. The one thing I’m not a huge fan of is the i-Stop, which is supposed to help save fuel by stopping the engine every time you come to a complete stop. While smoother than the system installed in other makes, it’s still not ideal for our creepy, crawly traffic. Php 1,480,000 price tag, and you will need to shell out an extra Php 16,800 for the soul red color (a deep, velvety red that I would gladly pay for). 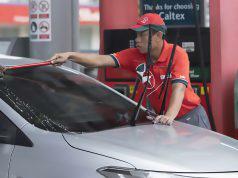 What makes Mazda ownership a value proposition is its Yojin 3 Total Care program that comes with three years of pampering, covering free parts, oil, and labor for scheduled periodic maintenance service (or up to 60,000 km); nationwide roadside assistance and concierge service; and 3-year or 100,000-km warranty. 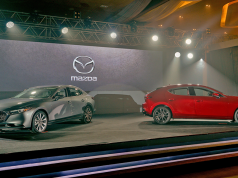 No wonder Mazda topped the Customer Service Index in the latest JD Power Survey of new vehicle owners! Compact enough for crowded city streets, tall enough to brave heavy rains and rising water levels, plus all-wheel drive to confidently traverse some rough spots—this is a great personal SUV for the active, young urbanite.